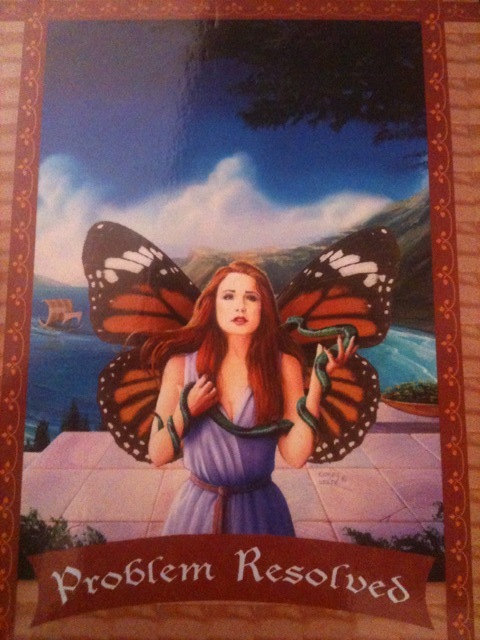 “I have had the pleasure of having two readings now by Erin. Both readings were gifted to me in a very transformative time; when I was questioning much and fog was clouding my mind and my path. Erin’s readings were both informative and empowering. 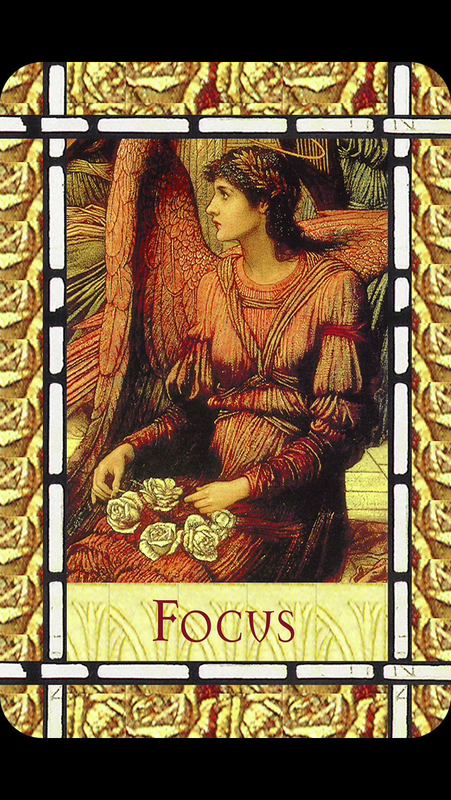 She offered very detailed and well understood messages from the cards and seemed to offer much insight to my situations, of which I had shared very little with her. 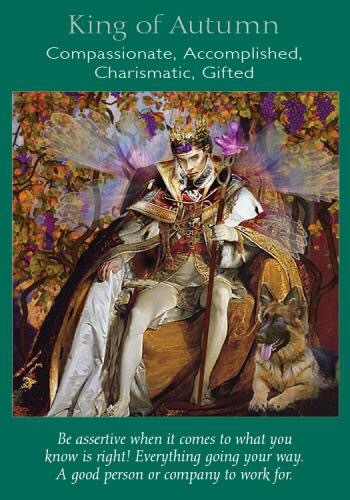 She is clearly a very gifted woman, beyond capable of guiding us through use of the cards, but also very willing to offer light and love through her decks as well. 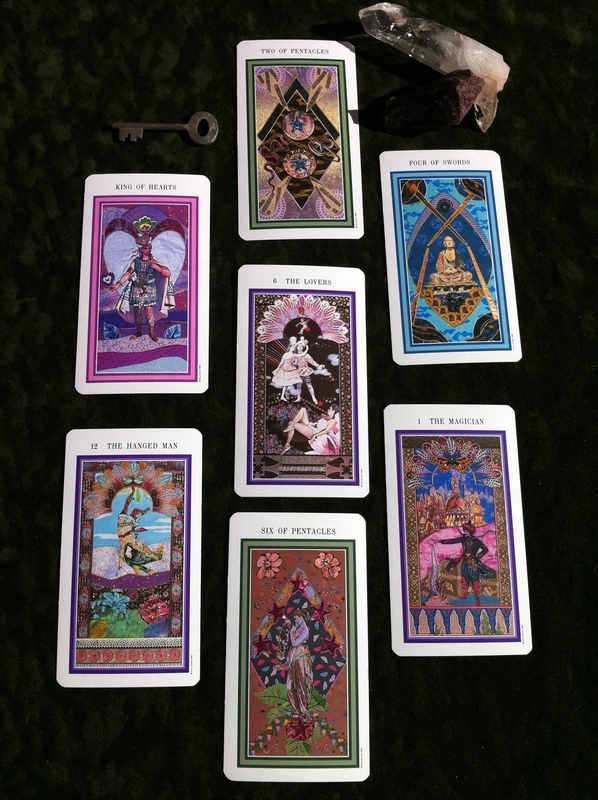 Should you have the opportunity to have a reading from her, be sure to do so! You will be pleasantly surprised and grateful for the sharing of her gifts. 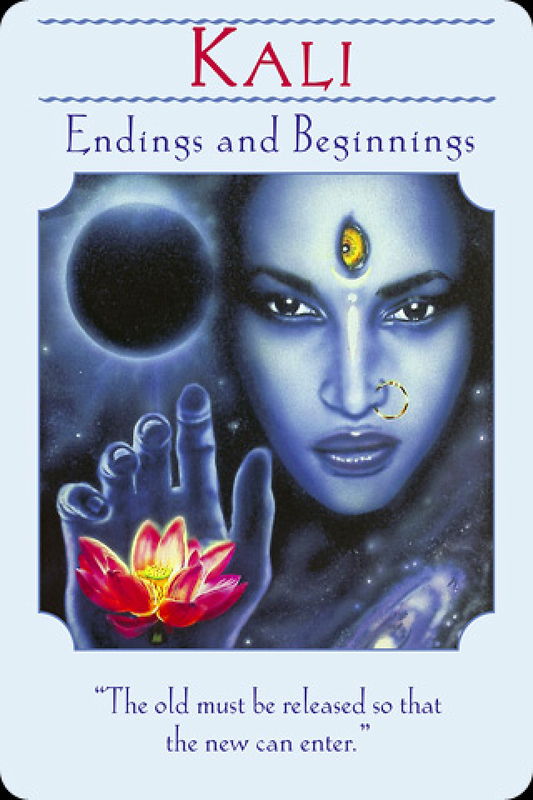 Card: Kali (Endings and Beginnings) – from the Goddess Guidance Oracle Cards by Doreen Virtue. Message from The Faeries: This week, the powerful goddess Kali appears for you to remind you once again to trust in the processes that are occurring right now. Even though things may seem to be crazy, chaotic, and heading south, everything is going to work out just fine. Perhaps one of the reasons why everything seems so difficult is because you are having a hard time letting go of people, situations or places that are no longer serving you. 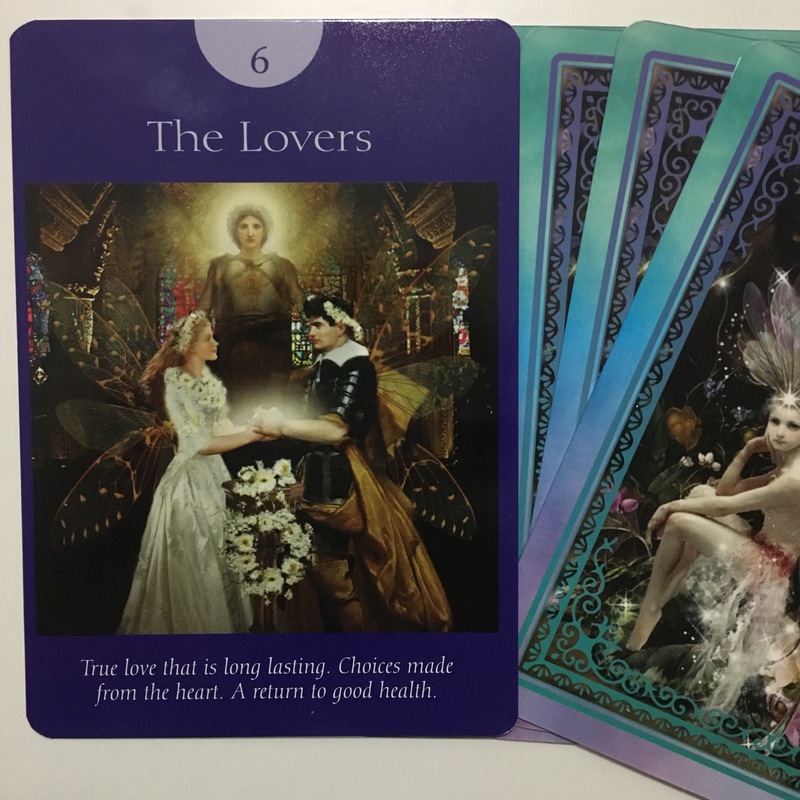 The Universe is trying to conspire to bring new and wonderful things into your life, but you haven’t made the space in your life for these things to happen, so the Universe is helping to pull you away from the old and push you into the new. It’s completely natural to find change difficult. Funnily enough, it’s most difficult when your life is bringing in all these new and wonderful things. This is because it can be so challenging to break old patterns and to truly leave unhealthy situations or relationships. This week is a great opportunity to finally say goodbye and let go of something you’ve been wanting to change or move away from in your life, and to make space for something new. Take a few moments and really think about what you need to move forward from, make the change, and never look back. Great things are coming your way, so it’s to make some room in your life for greatness. 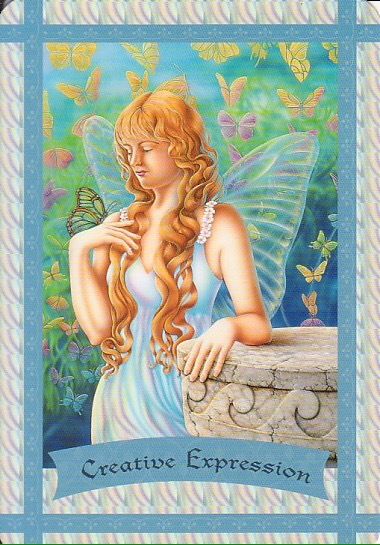 Card: Problem Resolved from the Healing with the Fairies Oracle Cards by Doreen Virtue. 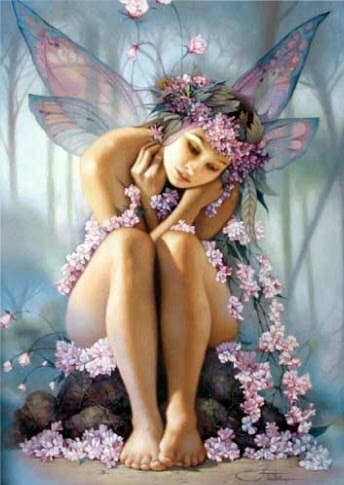 Message from The Faeries: There are lots of wild energies flying about at the moment. Some of you have been experiencing things on a very intense level lately. Lots of highs and lows, and it all seems to be happening all at once. It’s hard to tell head from tails these days. We’d like to tell you that things are going to calm down this week, but that just isn’t the case. Things are going to continue being intense for just a little while longer. There is really good news to come out of all of this. The first bit of good news is that a lot of you are working on some really major issues right now, and most of you are going to nail this one. Things seem like a bit of struggle at the moment, but you are actually doing really great and we are so happy to see so many you choosing to work on your unhealthy patterns right now. You are making great changes in your life and that is really difficult. You will soon find that you no longer find it challenging and it will be smooth sailing. The other bit of good news, for those of you who are feeling hopeless and lots at the moment, there will soon be resolutions to some of the major issues that you are facing right now. If you are having trouble at your job, there will be some good news there. If you are having some conflicts in some of your relationships, expect there to be miraculous changes. If you are having financial problems, expects some surprise cash flow. Whatever the problem is, there is no point in you stressing out about it anymore. Just let go and let us help you. Give us your problems and we will bring you solutions. You just have to let go and trust. Help is on the way! Instead of focusing on all the negative and hectic things that are going on around you – especially the things that you really don’t have any control over – just focus on the small things that bring you joy and happiness to your day to day life. Make sure you are giving yourself the much needed time-outs. Be sure to take care of your body – eat well, do some exercise and get the right amount of sleep. Try to do something creative for even just a couple of minutes every day. You take care of yourself, and we will take care of the rest. So, let go of your worries and problems and expect miracles.